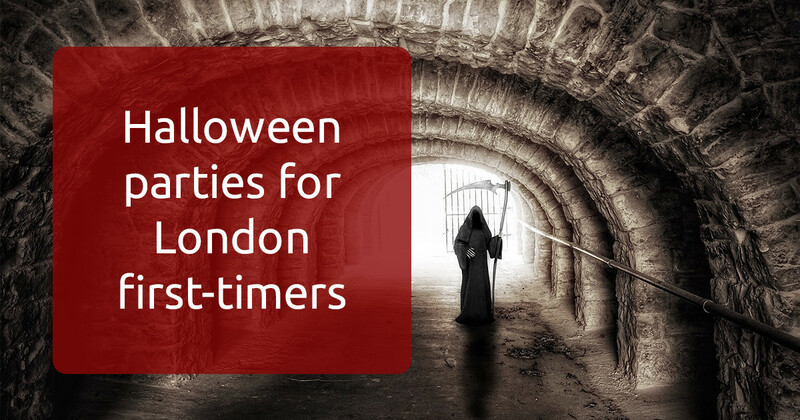 Is this going to be your first Halloween in London? If so, you are in for a treat! The Big Smoke celebrates Halloween pretty much like it celebrates everything else: on a massive scale with variety too large to count and of course - delicious drinks. From London Zoo to the Millennium Wheel, every major location gets in on the action. For a spooky, wicked London Halloween night experience, check out our recommendations of parties. Who says Halloween has to be zombies, ghosts and witches? Winterwell proves that a desolate post-apocalyptic Earth set in an old brick warehouse in West London is just as scary - if not more so! For those looking for something a little fancier, dressier and (depending on your view) more civilised, the Candlelight Club opens its door for a spooky speakeasy style ballroom in New York’s Roaring Twenties. If you thought your beer pong college days were over, think again. Set in an old abandoned post office in Chelsea, the Halloween-themed ping pong party features America’s finest exports: red cups, cronuts, sliders and of course beer. In the end, Halloween has always been and will always be about zombies. And who to better put in the centre of your zombie party than the King of Pop himself. The Old Queen’s Head in Islington brings the epic Thriller video to life this Friday. The latest installment in the James Bond franchise had its debut in the UK on Monday 26th October. 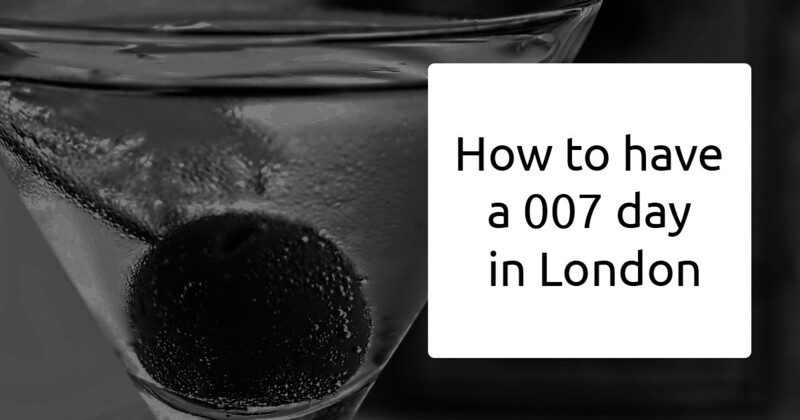 If you want to spend a day feeling like the British superspy, here's how to do it! All that is left now is to head to a cinema and immerse yourself in a true 007 experience! 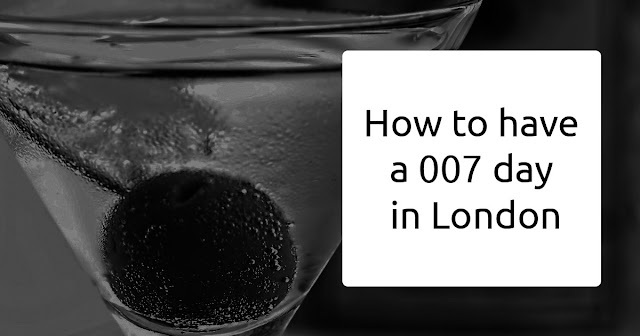 Our tip: Most Vue Cinemas in London are showing the new Bond flick for 24 hours straight from its premiere on Monday night to Tuesday night! If you're looking for a cheap-cheap alternative check out Peckham Plex where tickets are £5 for every movie (plus £1 surcharge for 3D movies)! Free Tickets to TechCrunch Disrupt - Why Go? TechCrunch Disrupt 2015 is happening in London, and FlatClub can provide you with a free ticket. The how is simple - just host a Battlefield Participant in your spare room - at no charge to them - and we’ll get you set up with a free ticket to Disrupt worth £1440. Looking for a bit of inspiration? TechCrunch Disrupt 2015 has that in spades, with speakers ranging from Alexandra Chong, the founder of Lulu, Azmat Yusuf, a founder of Citymapper, and Agus Gomez, a co-founder at Wallapop. Want to start your own business? Then these are the people to listen to, and they’re all speaking at TechCrunch Disrupt in London this year. Not only that, but the Hackathon can also be a major source of inspiration! Teams get together and build something awesome overnight. Participants in the Startup Battlefield will be pitching to a panel of judges - and you can sit in, and judge yourself. See what seems to work and what doesn’t, grab some good ideas for how to pitch, and learn what to avoid. If you have something to pitch (an idea, a burgeoning startup, or yourself - hello exciting new employers!) you can find someone to pitch it to here. There are plenty of VCs & other sundry investors walking around and scoping things out, so it’s worth your time if you have a business idea & the confidence to do a bit of chatting. Not only are there tons of investors wandering around, there are also plenty of interesting folks who are looking to join a startup at the ground up. You’ve got a great idea for an app, but you’re not so sure how to build an app? Chat with more technically astute people there and see what they have to say! Even if they don’t want to join up with you, they can provide valuable feedback on your ideas. Wondering what’s hot in London’s tech scene right now? Disrupt is the place to find out. Take the temperature of the city’s tech world and see if it’s a good time for you to make your entry. You’ll meet like-minded people and get some honest appraisals about the state of the community. So, are you ready to get your ticket to Disrupt? Sign up to be one of our TechCrunch Disrupt Hosts, and you’re well on your way to Europe’s biggest technology event - for free!